Justice (Retd.) Mukul Mudgal was on Thursday elected as head of FIFA's governance committee at the world football governing body's 67th Congress in Bahrain's capital city of Manama. Justice Mudgal's name was proposed by the FIFA Council on Wednesday for the vacant position of the governance chief after Miguel Maduro was reportedly 'fired' for his role in blocking Russian World Cup official Vitaly Mutko from retaining his seat on ruling council. Each list of candidates was presented for election to the FIFA Congress, each for a term of office of four years which would come into effect immediately. Justice Mudgal was appointed deputy chairman of the governance committee in May last year during the FIFA Congress in Mexico. 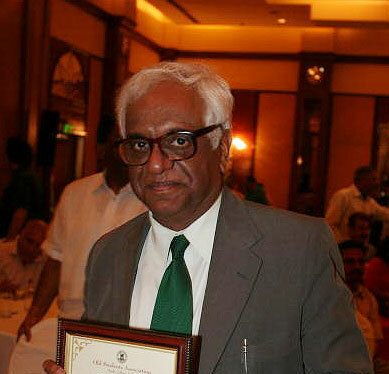 Mudgal has been, involved in overseeing the conduct of international cricket matches and the Indian Premier League games at the Ferozshah Kotla Stadium in New Delhi. He was also roped in by the Asian Football Federation in a similar capacity. Olli Rehn of Finland, a former vice-president of the European Commission, will be Justice Mudgal's deputy.